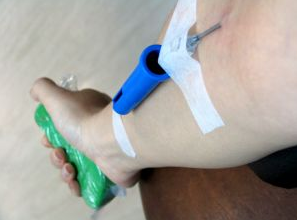 Many expats are unaware of the rules for donating blood in their new homes. Fewer than 10% of people in the U.S and Canada donate blood, so organisations are always looking for ways to boost the numbers of donors. Around 30-40% of American Red Cross blood drives offer some incentive such as T-shirts, coupons or keychains. A recent study has shown that blood drive donations increased by 15-20% when incentives are thrown in. It is illegal in the U.S to receive money for blood donations used for direct transfusions. In Australia, Brazil and Argentina it is illegal to receive any compensation, monetary or otherwise for all types of blood and tissue donation. However, in other countries it is common to receive non-monetary rewards, time off work is a common one. In Italy, blood donors receive the donation day as a paid holiday from work. Awards are also made for voluntary donors who make many donations. The Red Cross of Singapore presents a “bronze award” for 25 donations and a “ruby award” for 75 donations. Can people who have lived in the UK donate? As an expat, many things you did routinely at home are not as simple now you live abroad. Donating blood is one of them. If you gave blood at home, especially as a regular donor, you will probably want to continue abroad. The rules vary depending on the country, so will you be eligible? In the U.S, the EU, Australia and Canada there are strict rules regarding donors who have lived in the UK. In the U.S, people who have spent more than three months in the UK between 1980 and 1996 or have received beef insulin since 1980 are permanently excluded from blood donation. People who have spent five years or more in Europe since 1980 and those associated with military bases in Europe for six months or more between 1980 and 1996 are similarly prohibited from giving blood. In the EU people who lived in the UK for five or more years, cummulatively between 1980 and 1996, are prohibited from giving blood donations. Each member state has its own individual rules however. In Australia, the same rule applies to people who have lived in the UK for a total of six months or more between 1980 and 1996 and they are also ineligible for blood donation. Canada has similar rules. People who have lived for three months or more in the UK between 1980 and 1996, or if they spent a cumulative total of three months or more in France between 1980, and 1996 are indefinitely ineligible. Also if you have spent a cumulative total of five years or more in Western Europe outside the UK or France since 1980. If you don’t meet the criteria listed above then you are likely to be eligible to give blood in your new home. In some countries donors are offered incentives or even money depending on the donation type. In others it is purely a voluntary donation with no monetary reward. While many people are unpaid, voluntary donors, the World Health Organisation (WHO) estimates that 50% of the blood collected in developing countries comes from family/replacement and paid donors. These types of donation have a significantly higher risk of transfusion-transmissible infections (TTIs), including HIV, hepatitis B and C, syphilis and Chagas disease. In response to this situation, WHO is recommending its member nations to push towards a non-monetary, regular volunteer system for blood donations. World Blood Donor Day is on June 14th 2012 and aims to raise awareness of blood donation.